So I was super thrilled that I was able to try out a new scrub line, MC2, from Med Couture. I was even more ecstatic that I was able to include a friend. 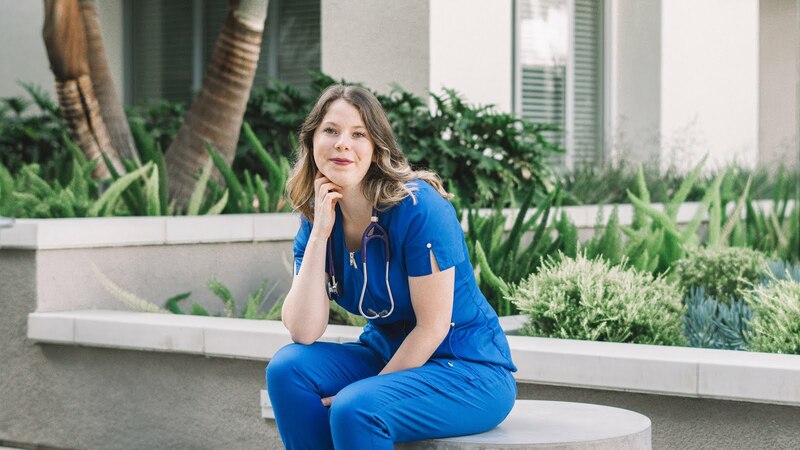 So a huge thank you to Med Couture Scrubs! What style top/bottom did you pick out? 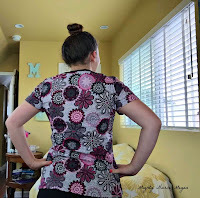 I chose Med Couture’s MC2 Lexi top in a petal for your thoughts. I also am wearing the MC2 Skyler pant in black. Three adjectives to describe the scrubs. What is your favorite part of the set? 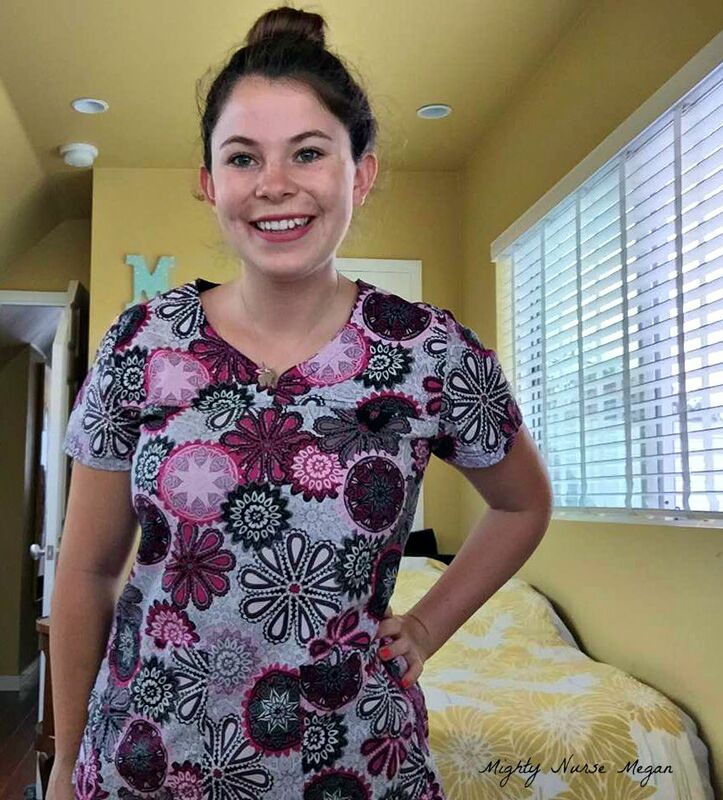 As Christine mentioned, I too love how flattering the top of the MC2 scrubs are. 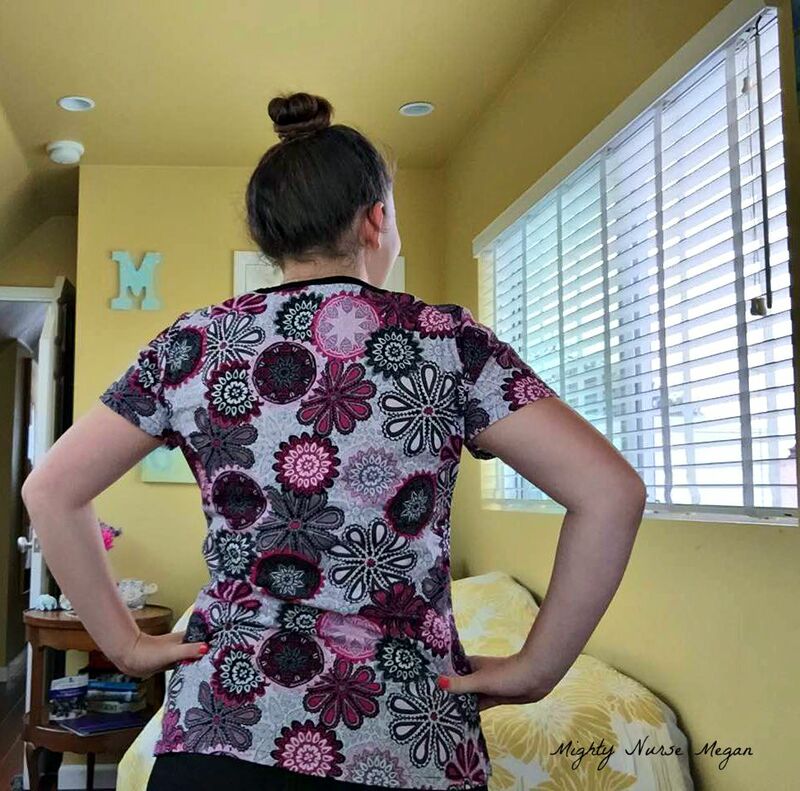 I love the cut of the Lexi top and the cute print. It really is a flattering V cut, but does not reveal too much. There are also two pockets in the front to stuff all my needed pens and papers in. 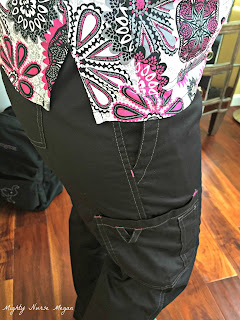 Unlike Christine's pants, mine have cargo side pockets on each pant leg. One also has a pen pocket! 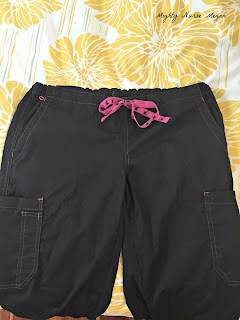 Like the top, the pant also has nice detail to them. The stitching is simple, but enough to make me feel like I am not in boring scrubs. My pants also have a drawstring tie to them which is comfortable. What do you dislike or wish was different? Trying to find something to dislike is hard on this set. I think ultimately I wish that it was not 100% cotton. 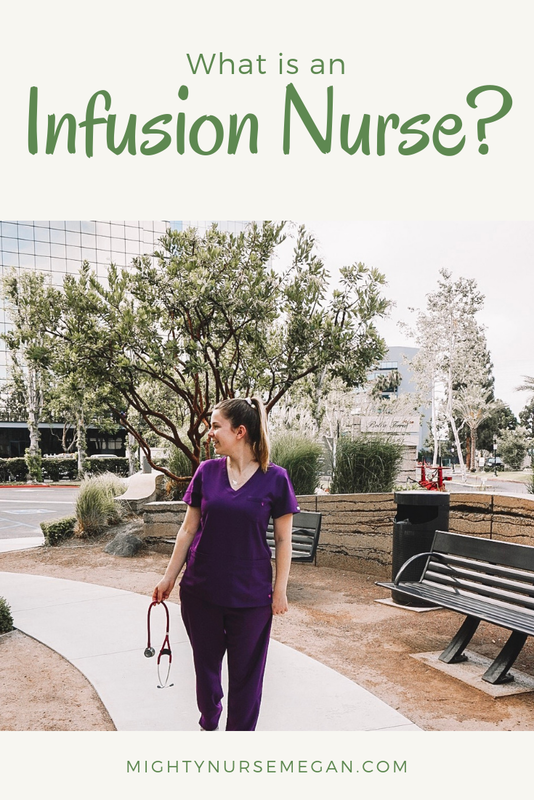 I tend to choose to wear my polyester material scrubs because of how soft and breathable they are! 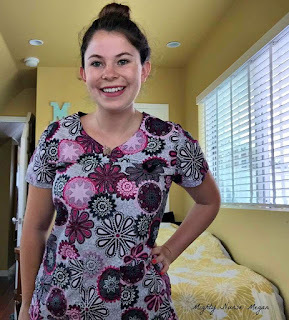 I really am in love with how stylish and cute the MC2 scrubs are. This is my first time trying the Med Couture line and I am amazed. 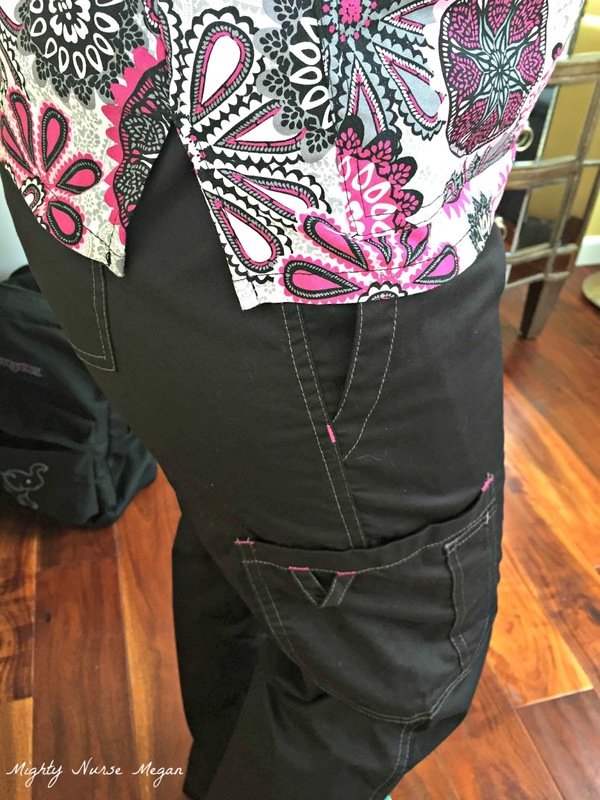 I love the added detail found in the stitching and all the pockets that my pants have. Trying out these scrubs was such a blast! I really got a lot of comments on how cute the print of my top was. 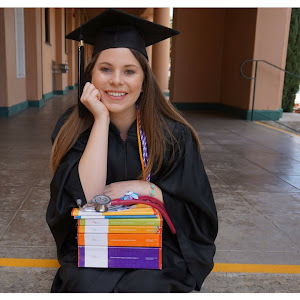 I was more excited about all my pockets. 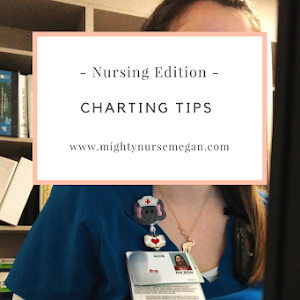 I hope that you will take a peak at their scrubs here. Well guys what are your thoughts on our scrubs? Leave a comment down below. Place an order with allheart that is $49 or more and receive a free swag bag ($39 value) with purchase ! 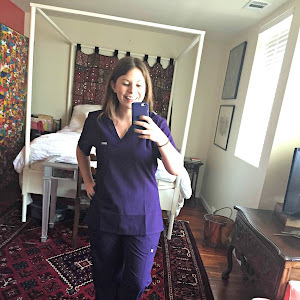 Thank you for the lovely review on our MC2 scrubs! We're glad to hear how much you liked MC2! You'll be happy to know for our upcoming season we switch to a better quality for our print tops. No more 100% cotton! I found Med Couture at www.MedCoutureScrubShop.com, and received FREE SHIPPING for an order just over $50. That's awesome! And, what fantastic product!